How to Use it? : First run the game, then open the trainer. 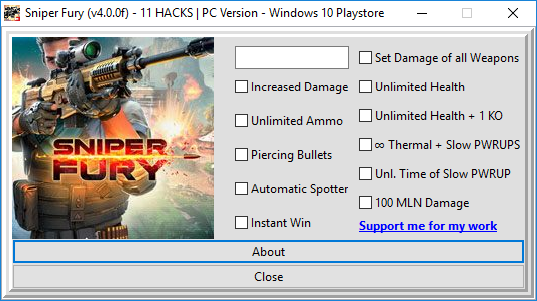 What is the best available sniper fury v4.1.0m cheat engine? Use English next time. I wouldn't be using Google translate for you.